This story was originally written as a part of Everyday Drabbles, a new free short fiction project I’m doing over on Wattpad. Each day in 2019 I will be writing and publishing a new free hundred-word short story. Please check it out, and let me know what you think! Detective Orn Sa scanned the crowd, scowling with both mouths. One of the beings below him was Vaporite criminal Frizzion the master of disguise, and he only had one chance to find them before they blew up the station and sank the cause of interstellar peace for good. His only hope was to find some inconsistency… There! He shouted a warning and fired before they had time to transform. “How did you spot me?” Frizzion gasped as Sa called for transport. 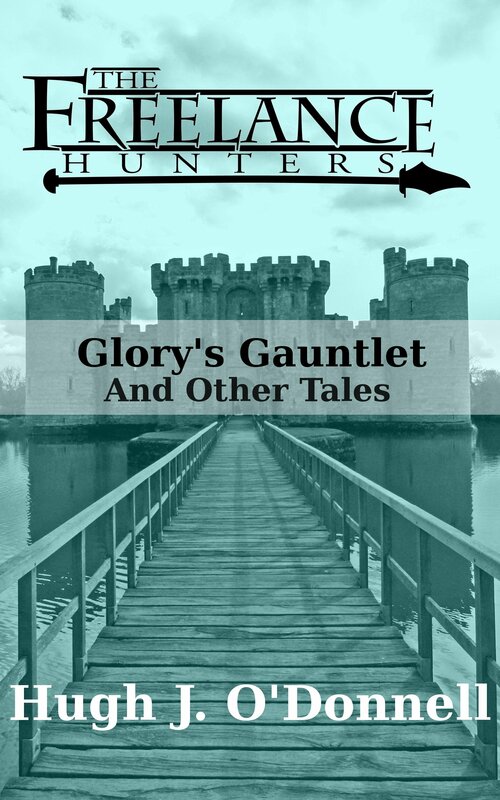 An ebook collecting all four of this year’s “Freelance Hunters” stories is finally up! Available from Amazon or Smashwords, the volume contains “Glory’s Gauntlet,” “Blocked!” “The Least Unicorn,” and “A Splash on the Big Bridge!” There’s a lot more coming from our band of misfit adventurers in 2014, so keep your eyes peeled here!